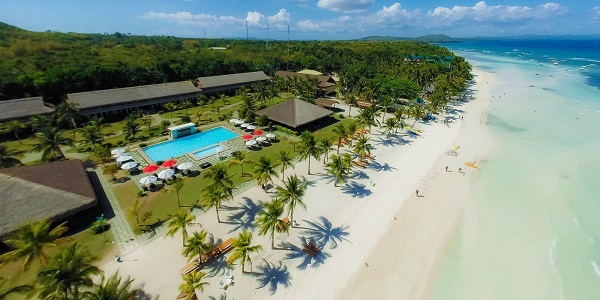 The Bohol Beach Club is an island paradise set amidst a 1.5 km stretch of powdery white sandy beach and clear blue waters. Built in 1984 with only 67 guestrooms, now the Club boasts of 184 room accommodations in different categories: Standard, Superior Gardenside, Superior Poolside, Superior Beachfront, Executive Suite, Premier Suite and Family Suite. Considered to be an “AA” resort, the club is an epitome of luxury with all room accommodations fitted with all necessary modern amenities, taking in all the comforts that one would desire in order to live in style while on vacation. The resort is huge! Aside from the rooms, it has 3 swimming pools, a games room, 2 restaurants, meeting and function rooms, WiFi and aqua sport facilities; all spread over the club’s vast property with lovely gardens full of flowers and the beach fringed with tall coconut palm trees, giving BBC a tranquil ambiance. 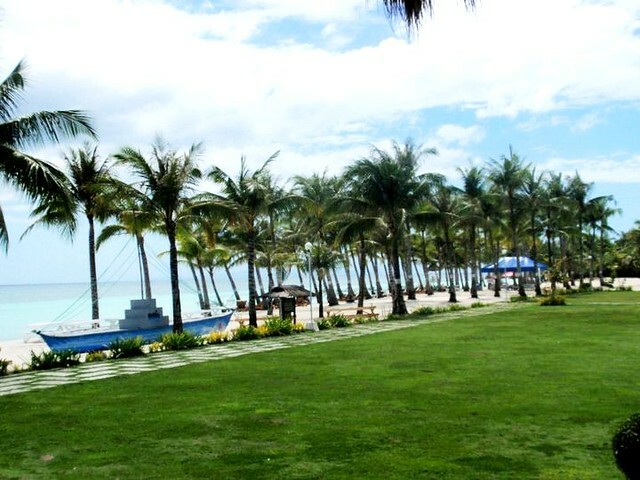 Looking at the green palms, shiny white sand, and the blue waters beyond, you will surely feel you are in paradise! It’s just overwhelmingly beautiful! The water beyond the beach is crystal clear and quite shallow for several hundred meters. Morning low tides are great for walking on the waters as you take in the beauty and grandeur of God’s creation. 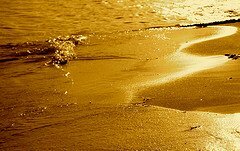 Kids surely would love wading and frolicking in the waters or observe the tiny colored fishes as they dart in and out of the sea grasses and pick the countless starfishes spread over the seabed. Near sundown, lots of starfishes and hermit crabs come to the water’s edge and are a sight to behold. 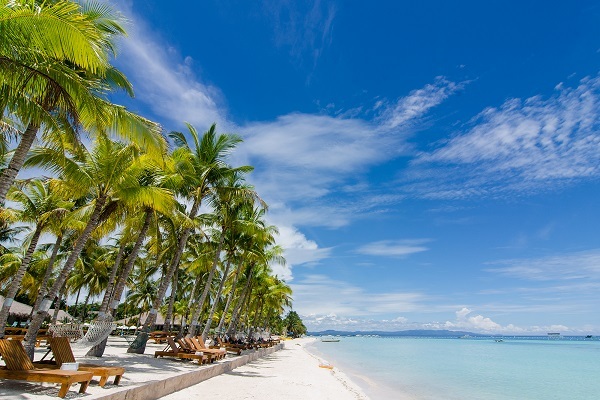 The Bohol Beach Club is located in Barangay Bolod at Panglao Town of Panglao Island in the Province of Bohol, Philippines. It takes approximately thirty (30) minutes of land travel to reach it from Tagbilaran City. Bolod beach is situated at the south side of the island, about two and a half kilometers east of Alona Beach which is only a 5-minute boat ride away. Alona Beach is where resorts, bars and restaurants converged. BBC’s nearest neighbors, also situated on Bolod Beach, are the Dumaluan Beach Resort and the Blue Sky Resort. 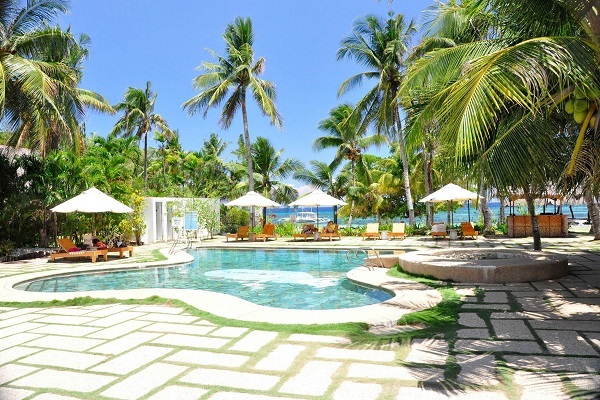 Bohol Beach Club has several room accommodations to fit in with the budget of each traveller. There are standard rooms that are simple yet equipped with modern conveniences for a comfortable stay. Other categories, as you go upward in rank, are more plush and stylish. Whatever room you’re in, all will enjoy the professional services of the staff and more so, the white sand beach and crystal blue waters which BBC is famous for. There are 80 room accommodations of the Standard category. Standard Rooms are equipped with two single beds, air-conditioning, cable television, with private toilet and bath and hot & cold shower. All rooms are located on the east side of the resort housed under 4 two-storey buildings all of which commands a good view of the beach and the blue sea beyond. There are 24 room accommodations of the Superior Poolside category where room clusters are fronted by the lagoon shaped swimming pool. These rooms are equipped with one single bed and one double bed, air-conditioning, satellite television, mini-bar, refrigerator, private toilet and bath with hot & cold shower. The rooms are situated between the east and west side of the resort of single-storey bungalow type. There are 36 room accommodations of the Superior Beachfront category which are situated on the west side of the resort. The rooms are on single storey bungalow type in clusters and definitely command a great view of the beach and the blue waters. These Superior Beachfront rooms are equipped with one single bed and one double bed, air-conditioning, satellite television, mini-bar, refrigerator, private toilet and bath with hot & cold shower. There are 6 Executive Suite accommodations with a separate air-conditioned main bedroom and fan cooled living room. Each suite has a private veranda by the beach and is equipped with satellite television, mini-bar, refrigerator, private toilet & bath, hot & cold shower with a separate bathtub. Five suites have one single and one double bed while one has a matrimonial king-sized bed. These suites are also a few steps away from the lagoon-shaped swimming pool. There is only 1 Premier Suite suitable for couples and honeymooners. It is a unique one-bedroom suite with a bathroom, equipped with a whirlpool tub, separating the bedroom and living room. The suite is located in a cozy area and separated from the other rooms of the resort. It has a good view of the beach and is a stones throw away from the main swimming pool. The room is equipped with satellite television, mini-bar, refrigerator, private toilet and bath, hot & cold shower and a king-sized matrimonial bed. This lone suite is very spacious and is equivalent to a presidential suite. It has two huge bedrooms and one living room. The main bedroom is equipped with a king-sized matrimonial bed. The 2nd bedroom serves as a guest room and has one single and one double bed. The separate living room walks out to a large private veranda with a full-sized Jacuzzi which commands a good view of the beach. Each bedroom has its own satellite television, mini-bar, refrigerator, private toilet and bath, hot & cold shower with a separate bathtub. Located in the center of the resort, the suite has easy access to both the beach and the lagoon-shaped swimming pool. The Premier Suite can accommodate 2 persons only; the Standard Room, Superior & Executive Suite are spacious enough to accommodate 3 persons however there is an additional charge for the 3rd persons; and the Family Suite can accommodate 6 persons although the 3rd to 6th person have additional charges. 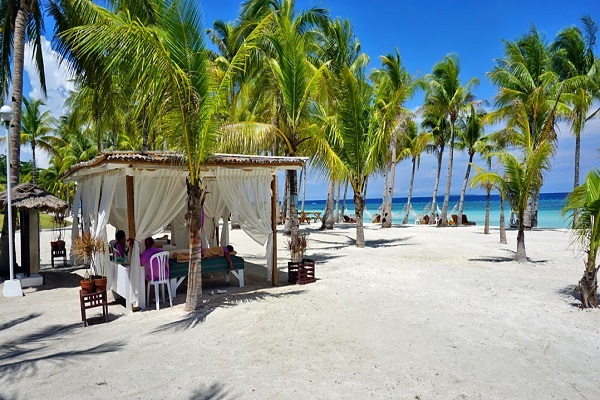 Bohol Beach Club features 3 restaurants: Kalubihan, Agotata and the Taclobo restaurants. A coffee shop and a pool bar are also provided for the convenience of guests. The Kalubihan Restaurant is located at the Habagat Wing, right next to the main swimming pool and has a command view of the sea. The restaurant offers International and Filipino cuisine with a breakfast buffet that comes with an abundance of fresh fruits such as ripe mangoes, pineapple, and papaya. Dinner at the Kalubihan Restaurant is quite an experience in itself! Aside from the delicious food, guests are serenaded by local musicians with songs that are traditionally Filipino and other mellow and romantic songs of local and foreign compositions. The Agotata Restaurant is located at the Amihan Wing next to the newest and largest swimming pool of the resort. It is also situated near the Standard rooms. The restaurant serves International and Filipino cuisine. The Taclobo Restaurant is likewise located at the Amihan Wing, situated opposite the Agotata Restaurant and near the swimming pool. It is also situated near the Standard rooms. The restaurant also offers an assortment of International and Filipino cuisine. Guests may enjoy a cupful of hot and aromatic coffee and native delicacies at the coffee shop. After a stint at the pool, guests can avail of refreshing drinks, wine, liquor and fruit shakes at the pool bar together with sumptuous snacks. 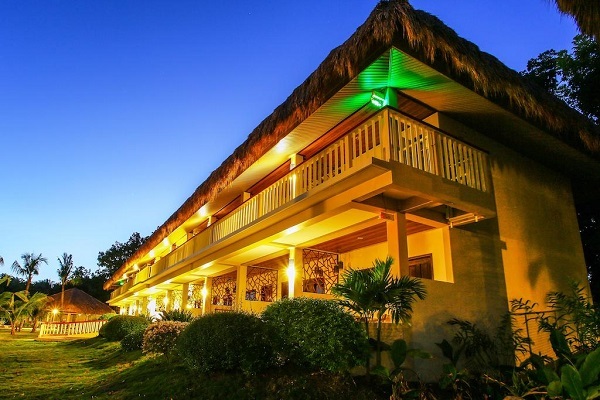 Bohol Beach Club has four (4) in-door function rooms including the largest ballroom in the island of Panglao, the Bohol Pavilion that can cater to various corporate and business meetings as well as of conventions. Capacity ranges from a small group of ten (10) to a maximum capacity of three hundred (300) persons. All function rooms are equipped with air-conditioners and audio-visual amenities such as white board and marker, white screen, overhead projector, flip chart, audio equipment, standard and wireless microphones, LCD projector, and others. The Board Room occupies an area of 37 square meters, carpeted and air-conditioned. The room has a rectangular table set-up with a capacity of fifteen (15) persons. This function room has an area of 120 square meters, air-conditioned and carpeted. It is WiFi capable and located in the Habagat Wing of the resort, right next to the Kalubihan restaurant. Capacity differs depending upon the set-up: Theater Style is good for eighty (80) persons, Classroom Style for fifty (50) persons, U-shaped for thirty five (35) persons. The Sangga Function Room occupies 100 square meters of floor space, air-conditioned and with tile flooring. It is WiFi capable and located near the Habagat Wing. It is housed under the main building and only a stone’s throw away from the main swimming pool, the Kalubihan restaurant and the pool bar. Capacity can be gauged in the following set-up: Theater Style holds about seventy (70) persons, Classroom Style forty (40) persons, U-shaped thirty (30) persons. The Bohol Pavilion is the largest ballroom in the island of Panglao and occupies 295 square meters of floor space. It is air-conditioned, carpeted and pillar less, with WiFi, and with a built-in stage with a height of 1.5 meters high. The Pavilion is located in the Habagat Wing, housed under the main building of the resort. It has access to the main driveway, a delegated entrance and an ante-lobby which is perfect for exhibits and displays. Capacity is based on the following set-up: Theater Style can accommodate up to three hundred (300) persons, Classroom Style up to one hundred fifty (150) persons, and U-shaped up to eighty (80) persons. 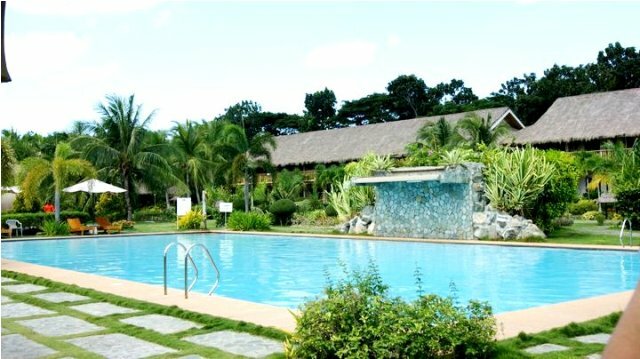 Bohol Beach Club boasts of three (3) swimming pools that are properly situated within the resort’s Amihan and Habagat Wing. 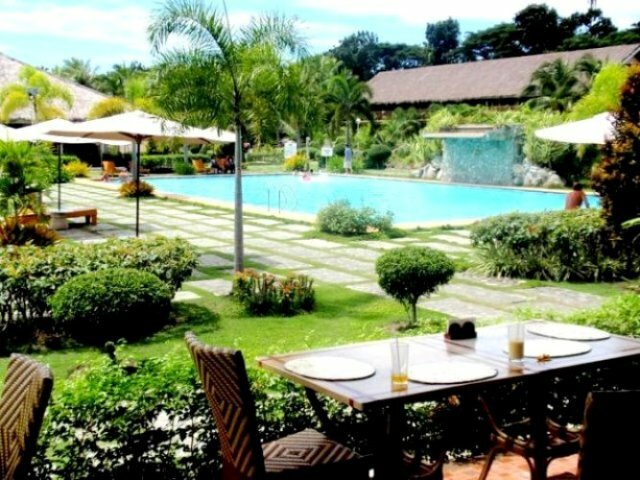 The main swimming pool is located right next to the Kalubihan Restaurant in the Habagat Wing. This pools depth ranges from four feet to seven feet which is also used for in-house diving lessons. Also, the pool has an outdoor Jacuzzi that can accommodate up to four (4) persons. Another pool is located in between the Superior Poolside rooms and the Executive Suites. This lagoon shaped pool has a depth of three (3) feet to five and a half (5 ½) feet. This pool has a waterfall and situated in a shady portion of the resort which is ideal for those who wants to avoid too much exposure to the sun. The newest swimming pool, the largest in the resort is located in the Amihan Wing of the resort. Surrounded by the Agotata and Taclobo restaurants, right next to the Standard Rooms, it’s the size of half of an Olympic-sized pool and has a depth of three (3) feet to five (5) feet. The resort is equipped with a game room provided with billiard and table tennis paraphernalia, a mah-jong table, chess, darts and backgammon. A fully air-conditioned karaoke room is also available and can be rented at an affordable rate. All table games are free-of-charge for in-house guests. Bohol Beach Club has its own scuba diving and aqua sport facilities. Club AquaSports, Inc. exclusively operates these facilities and is a member of the PADI International Resort Association or PIRA. The Club is equipped with the latest dive equipments and have PADI Instructors and experienced PADI Dive Masters. Guests are assured of proper training and guidance during dives at the world famous dive spots of Panglao Island and other dive spots at neighboring islands of Balicasag, Pamilacan, and Siquijor. Introduction to scuba diving includes a one (1) Confined Open Water Dive or Pool Training Dive, a one (1) Open Water Dive (1 tank) and all scuba gear necessary for the Introduction Course. PADI Certification Courses are: Open Water Diver, Advanced Open Water Diver, Deep Diver, Search and Recovery, Rescue Diver, Night Diver, Medic First Aid, Underwater Navigator, Dive Master and Underwater Photographer. The following dive and aqua sport equipment are available for rent: regulator, Depth & Pressure gauge, Octopus regulator; Buoyancy Compensator (BC) with Inflator; Mask, Snorkel and Fins; Wet Suite and Booties; Underwater Flashlight, batteries included; Snorkelling lessons and Glass Bottom Boat Cruise. Some of the dive sites are Arco Point Dive Site, the Blue Sky Reef, Eagle Point, BBC Reef, Eel Garden, Hoyohoy, Alona Beach Reef, Pungtod Point, Doljo Point, Momo Reef, Napaling Point and Caubyan Reef. Bohol Beach Club has a famous dive spot right in front of the resort called the BBC reef which is excellent for scuba diving, check-up dives or for skill training. The top reef has an average width of 110m where the most beautiful part is in the middle. The wall ends at average 18m and several species of sponges, brown daisy corals and gorgonians can be found as well as pygmy sea horses, schools of Sergeant Majors, Black Damsel fish, glass fish, scorpion fish, moray and snake eels, and frog fish. On the sandy slope one will find black and blue-lined nudibranches. The depth of the site ranges from 0-30m yet the most interesting spot is at 25m where large barracudas, tuna, snakes and mackerels are sighted. Bohol Beach Club offers its guests with other facilities and a number of services aside from modern amenities to assure them of a convenient and fulfilling stay at the resort. To make the evenings more romantic, the hotel has a string band that serenades the guests while dining. Room service is from 6 am to 12 midnight and round trip transport services are available for a fee. For souvenir items, beach wear, fashion accessories and sundry items, the Club offers a gift shop. Diving equipment and other aqua sport equipment such as kayaks, glass bottom boat, etc. are available at the Club’s in-house Dive shop. The club has a business center that provides secretarial services, photocopying, facsimile machine, computer scanning and an internet access for a fee. 24-hour WiFi access is free though, if you have your own laptop, and available only inside or immediately outside the Business Center. For tours, the Front Desk staff will gladly set them up for you. Early morning dolphin and whale watching is a must! Tours of the other famous spots of Bohol such as the Chocolate Hills and activities such as the Loboc river cruise, trekking, caving and more can be arranged. Guests can also arrange for a party or disco by the beach under the canopy of stars and with the cool sea breeze as your natural air-conditioner. A grand ballroom though is available for a more formal occasion. A Karaoke Room is also at hand for those who want to belt out songs to their heart’s content. Only in a few years time, Bohol Beach Club has grown! Starting in 1984 only with a few air-conditioned thatched huts for accommodation, the Kalubihan restaurant, the swimming pool and a distant area for billiards and darts, the resort has now grown to include 2 more swimming pools, 2 more restaurants, function rooms and more than double the number of room accommodations. These just show the Club’s continuous look-out for the welfare and comfort of their guests. It may not be hailed as a five-star hotel as yet, but the able-bodied management is geared towards more improvement to achieve this higher goal. 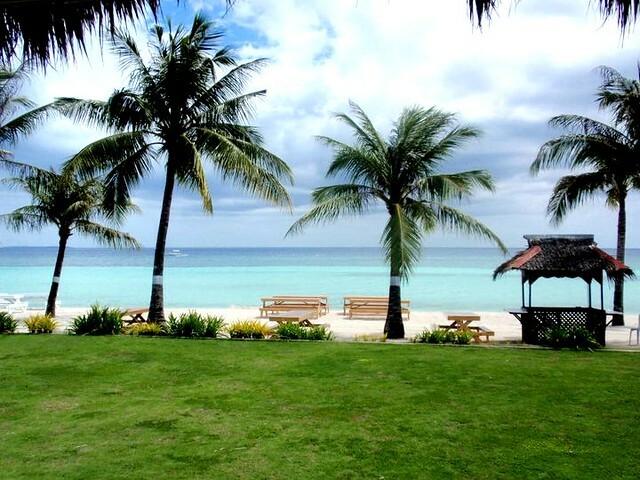 Yet, with all these improvements, nothing can top Bohol Beach Club’s hold on the best beach in Panglao Island. It is their major asset. People from far and wide come primarily for this 1.5 kilometer stretch of pure white sand beach which, even after all these years, has remained pristine and beautiful. The beach is a haven for kids, the shimmering blue waters for everybody; the distant reefs the goal of every diver and snorkeler. Plus the chance to avail of other aqua sports such as kayaking, boating and sailing are added attractions. All photos are courtesy of Mr. Nelson Tagab.